Gynecomastia, or the presence of visible breast tissue in men, is a common finding. Gynecomastia treatment is a procedure that removes excess fat and gland from the male chest to leave a more sculpted and masculine appearance. All men have some amount of breast gland, and most men develop some excess gland that is visible at some point in life. This may be the result of hormonal changes or medications. The excess gland may resolve once the hormonal changes are over or medications stopped, but sometimes the gland remains and surgery may be required to remove it. Regardless of the reason, our team of board-certified plastic surgeons can draft a surgical plan that is tailored to your specific needs and individual desires. Visit or call Austin-Weston, The Center for Cosmetic Surgery in Reston, VA to learn more about how this procedure can create the sculpted look you want. "Dr. Sigal- A modern day Michelangelo-An artist, a sculpture a true genius!!! This surgeon has been supremely gifted. I felt a sense of confidence right from the beginning. I was put to ease the second i met him. He is a patient listener. He has excellent bedside manners. He explained the procedure to me and went over the post operative course. I went into Austin Weston Center to get my gynecomastia corrected. I have been wanting to get this done for almost 20 years. I am glad i finally went in here. The staff at Austin Weston were very attentive. They were great!! The day of the surgery Dr. Sigal took his time and worked on me. Jill was in charge of anesthesia. She was awesome. I had a pain free experience. Shawny was in the OR with Dr. Sigal doing my surgery. She really knows her stuff and wham bam i was done in no time. I am told that some of the techniques he uses are often employed by modern day well trained plastic surgeons. Being a Harvard graduate he is so well versed, that his work is nothing short of perfection. I am 3 weeks out and am absolutely thrilled by the outcome. I feel truly blessed. This has boosted my self confidence and i love myself even more. My wife has been a great support right from the start. She was my support person at home. She took care of me after the surgery. If anyone out there is looking to get plastic surgery don't waste your time. This is where you should be going. I highly recommend this place without any doubt!!! AK MD CWSP"
"Dr. Sigal- A modern day Michelangelo-An artist, a sculpture a true genius!!! This surgeon has been supremely gifted. I felt a sense of confidence right from the beginning. I was put to ease the second i met him. He is a patient listener. He has excellent bedside manners. He explained the procedure to me and went over the post operative course. I went into Austin Weston Center to get my gynecomastia corrected. I have been wanting to get this done for almost 20 years now. I am glad i finally went in here. The staff at Austin Weston were very attentive. They were great! !The day of the surgery Dr. Sigal took his time and worked on me. Jill was in charge of anesthesia. She was awesome. I had a pain free experience. Shawny was in the OR with Dr. Sigal doing my surgery. She really knows her stuff and wham bam i was done in no time. I am told that some of the techniques he uses are often employed by modern day well trained plastic surgeons. Being a Harvard graduate he is so well versed, that his work is nothing short of perfection. I am 3 weeks out and am absolutely thrilled by the outcome. I feel truly blessed. This has boosted my self confidence and i love myself even more. My wife has been a great support right from the start. She was my support person at home. She took care of me after the surgery. If anyone out there is looking to get plastic surgery done don’t waste your time. This is where you should be going. I highly recommend this place without any doubt!! !AK MD CWSP"
Gynecomastia treatment surgery usually involves a combination of surgical removal of breast tissue and liposuction. During the procedure, liposuction is done to sculpt the chest and more easily visualize any excess gland. The gland is then surgically removed. An incision around the areola may be required. For patients with droopy and sagging skin, a larger incision may be required to remove the skin, making the procedure essentially a male breast reduction. Your surgeon will discuss this with you during your consultation. After the surgery, patients will have their chest bandaged and be placed in a compression vest that should be worn at all times. Patients should rest and move their upper body as little as possible for the first few days. Most patients can return to work within a week and can resume exercise including chest workouts by 3 weeks. Our office will go over specific aftercare instructions and any prescribed medication in detail for optimal recovery. Results from gynecomastia surgery are visible on day one, but swelling sets in soon after and this takes several weeks to resolve. Post op photographs are taken around 3 months to see the final result. If there is any loose skin, it can continue to tighten for 6 – 12 months afterward. 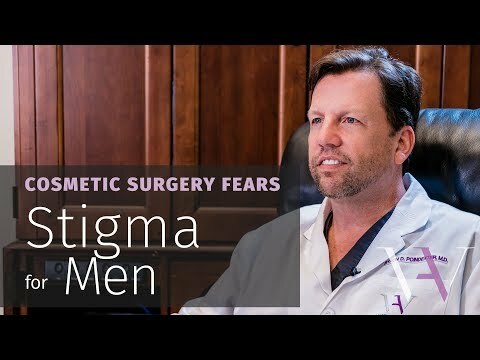 The results of gynecomastia surgery are typically permanent as long as the patient maintains a healthy lifestyle and weight and no offending medications are re-started. lf you avoid activities like swimming, sports, and exercise because of gynecomastia, schedule a consultation to learn more about male breast reduction surgery and how it can help you. Treating gynecomastia can improve your appearance, confidence, and activity level.